I love cooking, but I also love to make simple and tasty things that don’t take too long to cook. 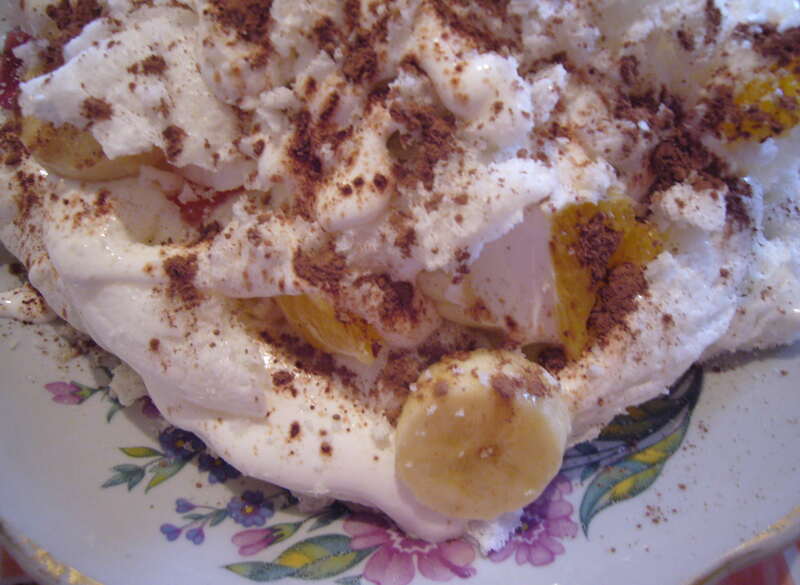 One of such recipes is merengue cake. Here is how you can make merengue in about 5 min without having to whipping up the eggs. You just take one egg white and mix it up with sugar powder. Mix it until you get sort of sweet dough. Then you make small or larger balls out of this dough and put it into your microwave for 2 min. Done! I made four large merengues, so I had to crush them for this cake. I whipped cream with sugar and lemon juice. Merengue is very sweet, that’s why I added some lemon juice to the cream. 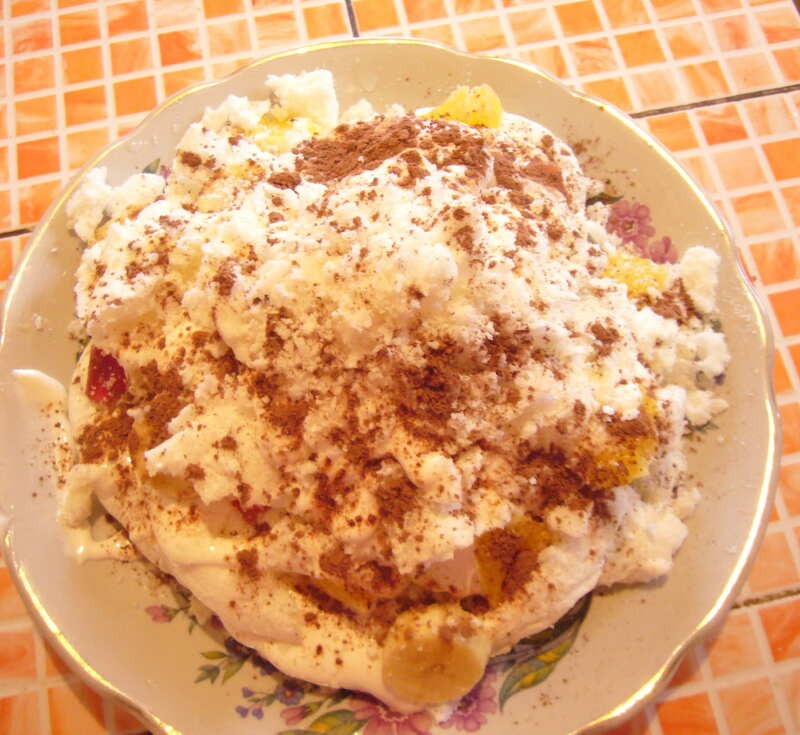 I sliced some oranges and bananas and started to for layers of merengue, fruit and whipped cream. I made a cone shaped cake. I used some cocoa powder and sprinkled it on the top of the merengue cake. It took me 10 min to get this cake done and about another 10 min to make merengue. So, it is a quick recipe. 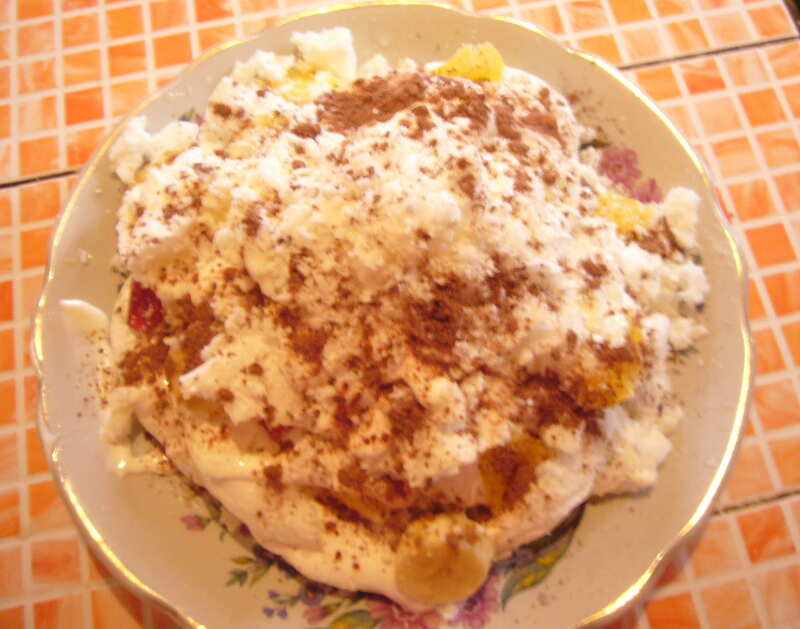 This entry was posted in Easy Recipes and tagged 10 min cake, 10 min recipe, busy mom, cooking tips, easy merengue recipe, merengue cake, quick recipe. Bookmark the permalink.